Social media is meant to connect us, build our networks, and enhance our social life, right? It may be designed to, but in reality, it’s cutting out real-life human interaction and abating the deepness of our connections. This is dangerous for a multitude of reasons, mainly it’s causing loneliness. The fact is, we do still want human interaction, so why aren’t we getting it? Thousands of followers or a cell phone constantly connecting you to friends is actually not the cure for loneliness. Studies have proven that loneliness is caused not by the sparseness of relationships but rather their lack of depth . At a minimum the feeling is painful, and at a maximum can cause serious mental damage. The danger of technology is that it creates a simulation of a social interaction rather than providing you with a real one. This simulation can lead you to believe you no longer need real-life social connections. The lack of human interaction means that relationships become inherently shallower. Researchers have proven that those with deeper social ties that had unhealthy lifestyle habits such as smoking or obesity actually lived longer than those with poor social ties but healthier lifestyle habits . People who have less meaningful social contacts are more prone to experience higher levels of stress and inflammation, which in turn affect the physical well-being of that person. 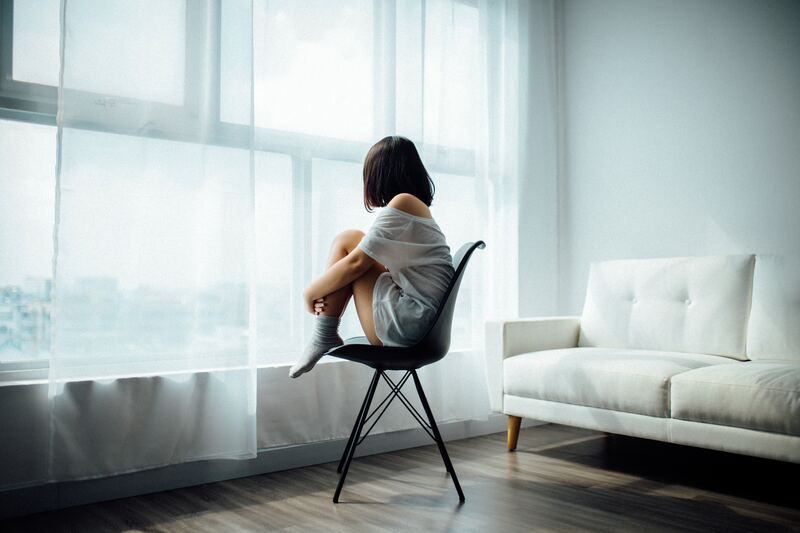 Depression, which can be a symptom of loneliness, can lead to a slew of dangerous outcomes, such as addiction and self-harm. Technology has us connected at a higher frequency than ever, but it’s actually the younger (under 35) generation, who use technology the most, that are feeling the most alone . The reason this may be is the lack of intimacy young people are experiencing. Intimacy comes from opening up, being honest and, at times oversharing. Our ability to carefully curate what we share over the internet has filtered closeness out of our relationships. If you are building connections online it is easy to conceal personal details, emotions, and facts. The high rate in which connections are made online are leaving us craving closeness, and simultaneously facilitating the lack of it. Social platforms have started replacing face to face communication but a SurveyMonkey poll conducted in November 2018 revealed that a large amount of the population actually prefers human interaction. The survey was conducted on 1,820 U.S. adults aged 18–34, 35–46 and 65 and up exhibited that 42% of participants felt that they preferred in-person interaction over technological connections. Only 2% actually expressed a preference for interacting over social media . Specifically among teenagers, however, the amount that prefers in-person interaction plummeted from 49% in 2012 to 32% in 2018 . Among teens, texting is now the favorite way to communicate. A positive side to the statistics is the awareness teenagers have regarding the destructive nature of social media. 54% of teens agreed that the use of social platforms distracts them when they are having in-person interactions and 44% express a feeling of frustration towards friends who use their phones while in person . The statistics prove that adults still desire human interaction, but the reliability we have on our devices has essentially turned us into cyborgs. We need to learn how to put our phones down. The need adults feel for face to face communication has unfortunately not bled into the younger generation as much. Our phones have become extensions of ourselves and, let’s be honest — when we have a lot going on sometimes it’s less complicated to send a text versus penciling people in for real-time interactions. In order to decrease the amount of loneliness and depression developing in younger generations, adults need to become more proactive in acknowledging their desires to meet up versus sending a text. Start out with taking your internet interactions into real life. Maybe you and your friend have been sending “memes” back and forth for the last hour. The quick solution, try to turn this into a real-life plan! Whether it’s exactly in that moment or later in the day. From the moment you make the plan till you actually meet up, try to keep the texting to a minimum, this will give you more to talk about in person and it will ultimately deepen the face-to-face conversation. It’s so simple. Just unplug! If you find yourself consumed with social media, overwhelmed, or feeling lonely while staring at your screen, just take a step back. Take in your surroundings and connect with real things happening around you. The sounds outside your window or whatever it may be, notice the world outside of your device. People seem to be wanting to meet in person but it’s the younger generations that are beginning to no longer crave it. This has to do with the fact that younger generations have been deprived of it growing up. Face to face time has not been as deeply rooted in their lives meaning they do not realize how much they need it. The older generations who grew up without the instant message appreciate and feel nostalgic about how much human interaction they used to experience. A fix to the issue is removing the excessive use of technology from a young age. The final step in evading the feeling of loneliness is learning to love your time alone. This sounds difficult, but practicing being truly by yourself will help you become more comfortable with it. This means get rid of the distractions, whether its a T.V. show a movie or scrolling through Instagram, try to put it aside. Instead try reading a book, writing, or maybe listening to music, but nothing that is too stimulating to all of your senses. Run yourself a bath or take a walk. You may even get up the courage to take yourself out for a meal, but really loving the time you spend alone will counteract any feelings of loneliness. There’s a big difference between being alone and being lonely.